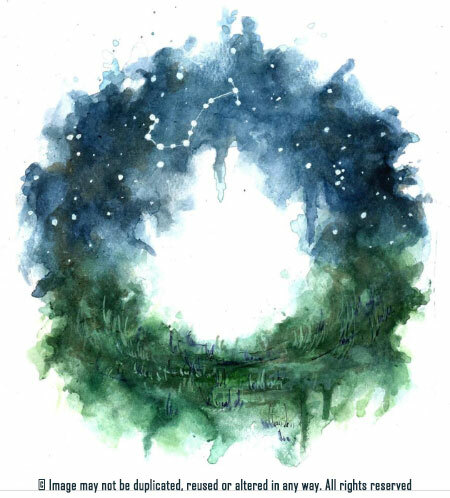 The artwork for Magellanic Clouds was painted by the wonderful Natàlie Akua. The original painting (above) was painted by Natàlie to illustrate a Kireji poem from A Dandelion Clock. Natàlie’s talent in manipulating paint drips to tell stories captured the essence of the book title with little difficulty and there was little doubt that it would suit far better as the album cover. A few alterations later by Insomnia Inc ensured the perfect cloud circle. Please do head over to her website and her Facebook Page to see her gorgeous paintings and support her work.